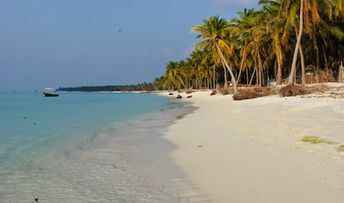 This island ranks #2 of the "Best islands in India"
The number of hotels on the islands is limited, they must be booked in advance via special travel agencies, and they are not cheaper than hotels in the Maldives. So a trip to Laccadives will cost you same as a trip to the Maldives. Fly to Agatti Airport (AGX). Next take a helicopter or local boat. There are also big ships from Kochi to different islands of Laccadives. We don't recommend this option, as the journey takes a lot of time and the conditions on board are extremely uncomfortable. The best time to visit Laccadive islands is a winter half of the year, as it's too rainy in summer.